The Physical Education Department aims to create a positive learning environment school, enabling both girls and boys to achieve success, enjoy a wide range of sports and activities, develop their physical skills and take personal responsibility for leading a healthy lifestyle. All students are encouraged to achieve their best in sport, whether they become a county champion or achieve something new for the first time. A broad and varied curriculum is offered at KS3 to introduce students to a broad spectrum of experiences. In addition to the PE curriculum being offered, student’s also have a ‘Games’ afternoon, where teams are developed and fixtures are played against local Independent Schools. Additional activities are offered in Years 10 and above in order to give pupils the opportunity to discover new and different sports, with a view of introducing pupils to activities they may continue to pursue throughout their adult lives. Applications for our new Sports Hall are in the planning stages and have received approval from the Board of Governors, we have forged partnerships with several local providers to ensure that our pupils have the use of the very best facilities and coaching. The following facilities are close by and used regularly as part of the games programme. 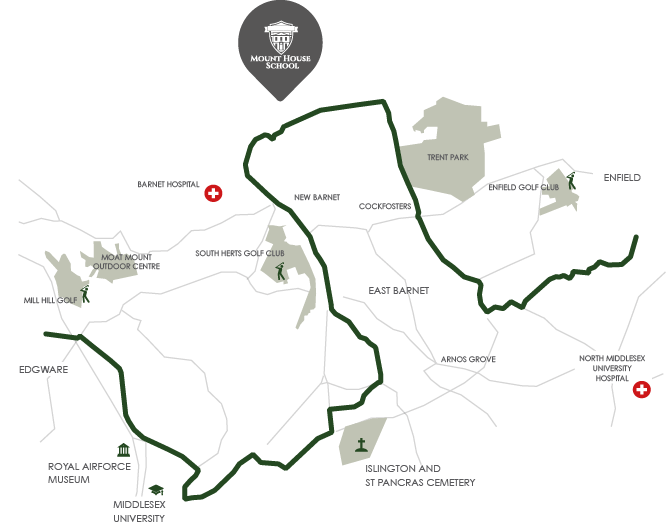 Students have the opportunity to achieve success in Physical Education, and the co-curricular programme includes an extensive range of recreational and team sports where we play in the Barnet League, as well as ISA and against other Independent Schools. GCSE, and A Level Physical Education are all offered within the curriculum as an optional subject.